When you're the monarch of a nation with a grand maritime history, it's no surprise that your jewelry box contains more than one brooch with a seafaring theme. Today, we're looking at two anchor brooches worn by Queen Margrethe II of Denmark. One of the brooches is made of silver-toned metal with blue enamel accents. 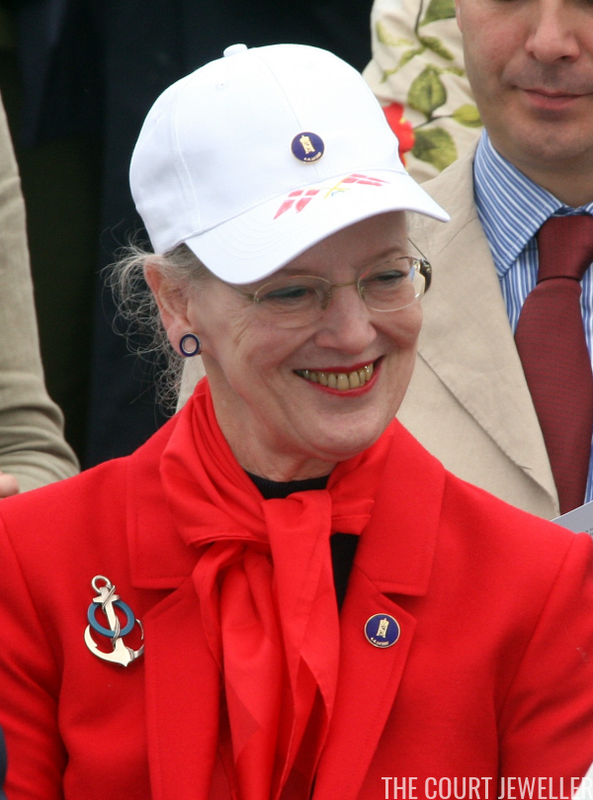 Above, Margrethe wears the brooch for the official opening of the Spangereid Canal in Lindesnes, part of the 70th birthday celebrations for Queen Sonja of Norway in July 2007. 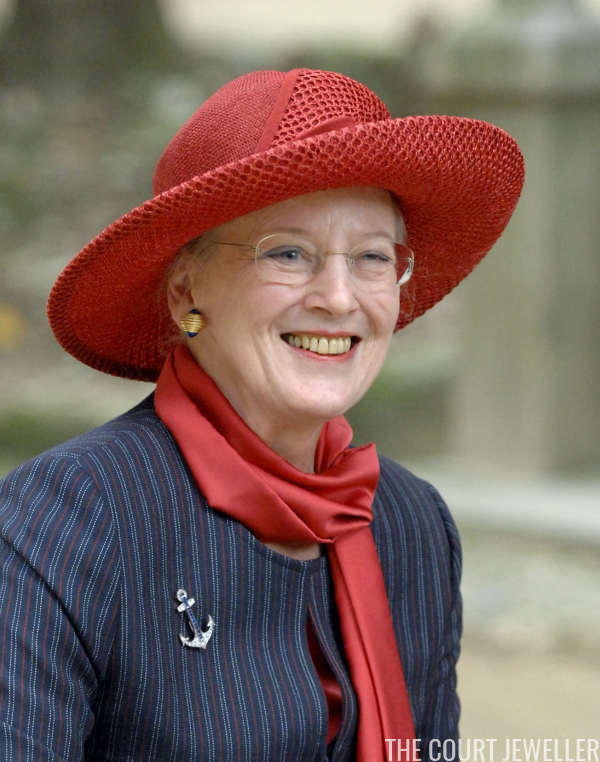 A grander example of the style is Margrethe's diamond and sapphire anchor brooch. 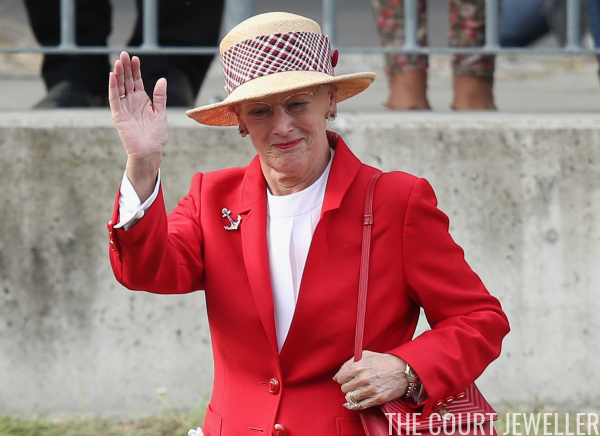 Bjarne Steen Jensen notes that Margrethe often wears her brooch for maritime-related events, as well as her annual trips aboard the royal yacht Dannebrog. 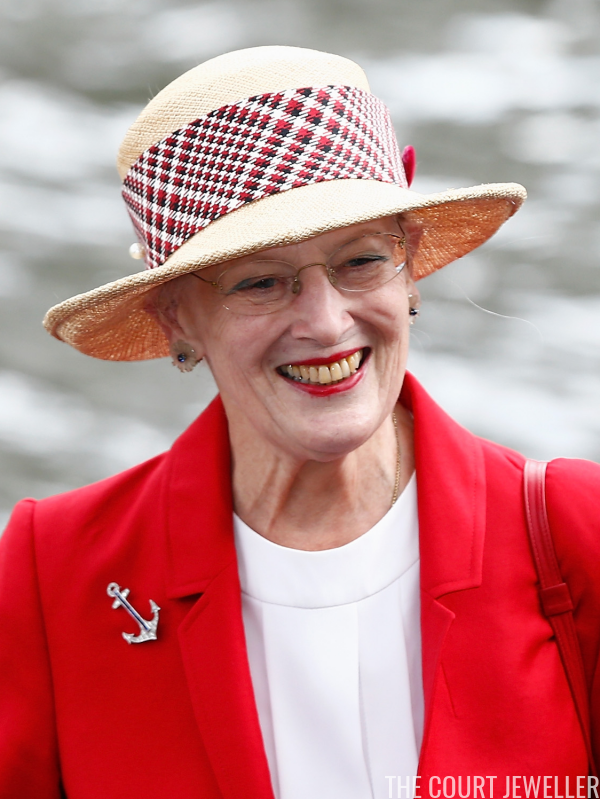 Here, Margrethe wears the brooch for during a visit to Germany in September 2014, where she visited a replica of a Viking ship in Berlin. Here's a closer look at the brooch, with its line of sapphires set straight down the center. Queen Alexandrine's collection also included a similar sapphire and diamond brooch, but that piece was inherited by Margrethe's cousin, the late Princess Elisabeth. 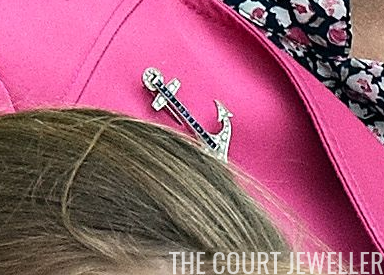 Unlike Margrethe's, Elisabeth's brooch also features sapphires across the bottom of the anchor. 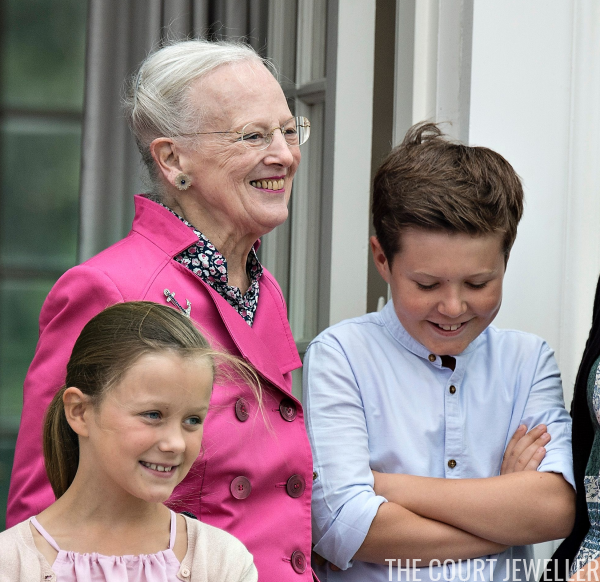 Margrethe does often wear her diamond and sapphire brooch for naval events, but she also wears the piece more generally. Above, she dons the brooch at the Changdeok Palace in Seoul during her October 2007 visit to South Korea. And she's also chosen the brooch for family events, like the annual photocall at Grasten Palace in July 2016.